We’re on the verge of another recession, the cost of living is going through the roof and public transport is becoming unaffordable for people on lower incomes because of Boris Johnson’s fare rises. And yet theLondon Mayor is spending millions unnecessarily redesigning London’s buses. 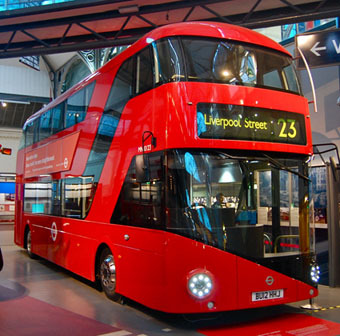 The so-called new generation Routemasters are costing over £1.3 million each – five times the cost of a green, hybrid double-decker. And they will only run on one route – a route that doesn’t even go anywhere near Enfield or Haringey. So we should remember this when our fares go up under this Mayor in January, just why bus tickets are costing 50% more, and a weekly 1-4 zone travelcard has gone up 21%. It’s hard to escape the feeling that the new bus is just an expensive photo opportunity for the Mayor – paid for using money that could have been spent keeping down fares or improving existing services.